You’re doing all you can to grow your email list. But the faster it grows, the less you seem to know about the people on your list. While you used to know every name on your email list personally, as you develop a larger list you’re less sure who your email subscribers are, what exactly they’re interested in, and how best to reach them. How can you take back control and keep your email list organized? If you’ve been sweeping some email list issues under the rug, take these three steps toward better organization and results for your business. 1. Clean up your email bounces. An email bounce signifies that your email was not delivered to someone on your contact list. You can view your bounce rate within the Reporting tab of your Constant Contact account. There are a few different reasons why emails bounce. While some reasons — like full mailboxes or out of office messages — are temporary issues, others like out-of-date or nonexistent email addresses won’t resolve on their own. You need to remove or update these contacts to keep your bounce rate in check. Click on the number of bounced emails to view the specific email addresses that bounced and the reason why. Constant Contact has a “Recommended for removal” display option to help you identify those contacts with ongoing issues. Misspellings are some of the most common reasons for bounced emails, so be sure to double check for typos. You should also look into digital collection tools so you’ll never lose an email subscriber to poor penmanship again. If there don’t seem to be any typos, try to reach out to these contacts by phone or direct mail to ask for an updated email address. As a last resort, if there’s no way for you to update the contact information, it’s best to remove bounced emails regularly to maintain a strong delivery rate. 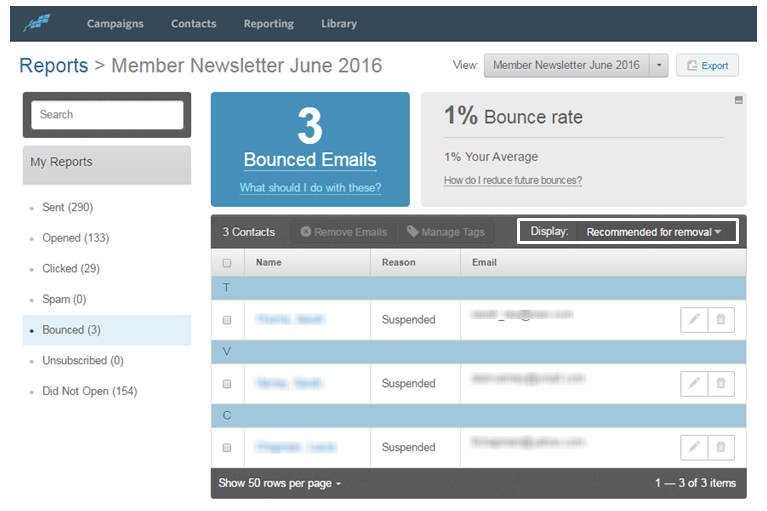 Stay on top of bounced emails by checking your results after each send. Your email subscribers can have different interests. But is your email list organized to help you send emails based on these interests? Segmenting and creating targeted email lists is the best way to deliver personalized content that feels most relevant to your subscribers. What about those contacts that have been on your email list for a while? How can you make sure they’re in the right list, as well? Create a customized online survey with a few short questions to better understand what your audience wants to receive from you. Here are some tips for writing effective survey questions. You can then manually move them into separate lists based on their responses. Create an Update Profile Form. Use this form to request additional information from your contacts and get to know their needs better. 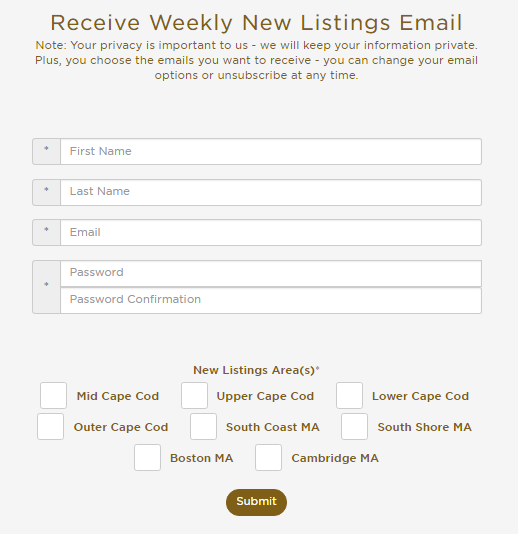 Once you customize the form, you can send it out in a dedicated email, and add a link to your email template so your contacts can update their preferences at any time. 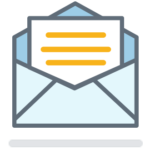 Your contacts will automatically be added or removed from email lists as they update their profile. 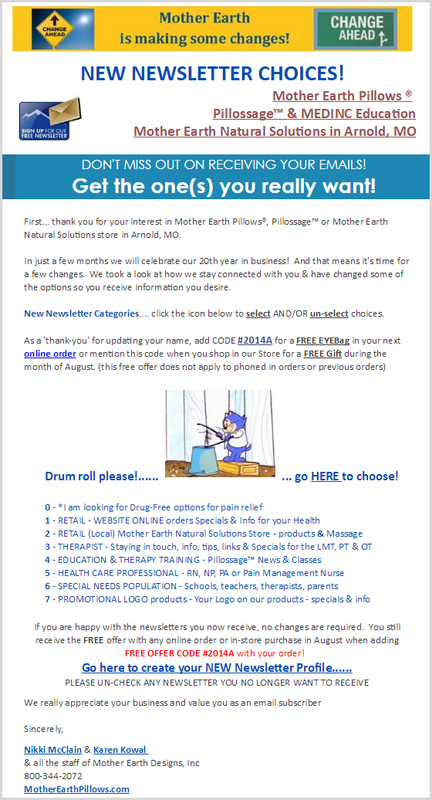 Mother Earth Pillows sent their Update Profile Form, along with an explanation and incentive for subscribers to update their preferences. When deciding how to segment your email list, consider how factors like location, customer status, interests, or behavior affect your subscribers’ preferences. A healthy email list is full of people who want to hear from you. While you probably have some super fans that open every single email you send, you also may have some contacts that haven’t opened your emails in months…or even years. Don’t take this lack of engagement too personally. People’s interests change, they move, or change careers — which is why it’s worth looking into your unengaged audience and deciding if they’re still a good fit for your email list. We recently did this for our Hints & Tips email list. After creating an “Unengaged” list of contacts that had not opened an email for the past few months, we emailed a clear “Action required” email to our unengaged segment to see if they still wanted to receive our mailings. After removing those contacts that did not respond, our average open rate has more than doubled. Try something similar for your email list. Export a list of people who have not opened your last few emails and send them a reengagement email campaign to try to spark their interest. 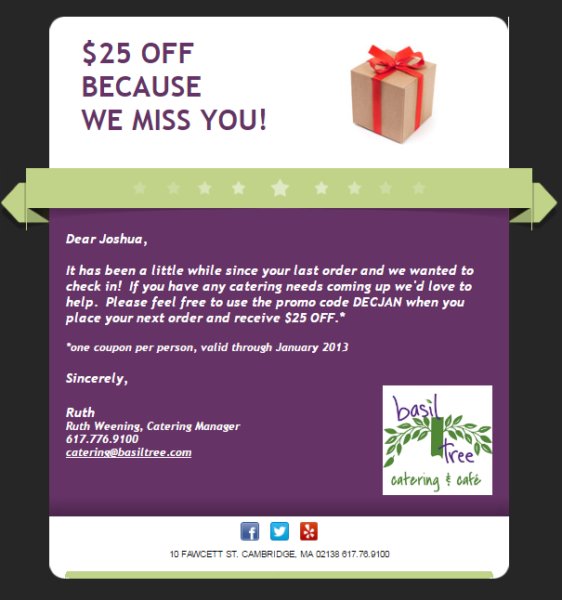 Basil Tree Catering sent a simple email with a “Because we miss you…” subject line to their unengaged contacts. By offering a $25 discount, they awoke an interest in unengaged subscribers and drove some extra business. Win-win. This is a good exercise to revisit once a year or so, but don’t spend too much time trying to get the attention of unengaged subscribers. You’re better off focusing on those who are really clued in to your messages and are interacting with your content. The longer you put off organizing your email list, the harder it will be to get it back in shape. So don’t delay. Start with step one and visit your email reports to clean out those bounced emails. You’ll thank yourself the next time you hit send.